If you are on oxygen therapy and need to carry a concentrator, you are probably familiar with how difficult it can be to travel with the concentrator and its accessories. The Eclipse Accessory Bag is great for carrying an extra battery pack, cannulas, paperwork, or small personal items. The top flap uses velcro to close securely and the top of the bag has an ergonomic handle to make lifting the bag off of the cart easy. 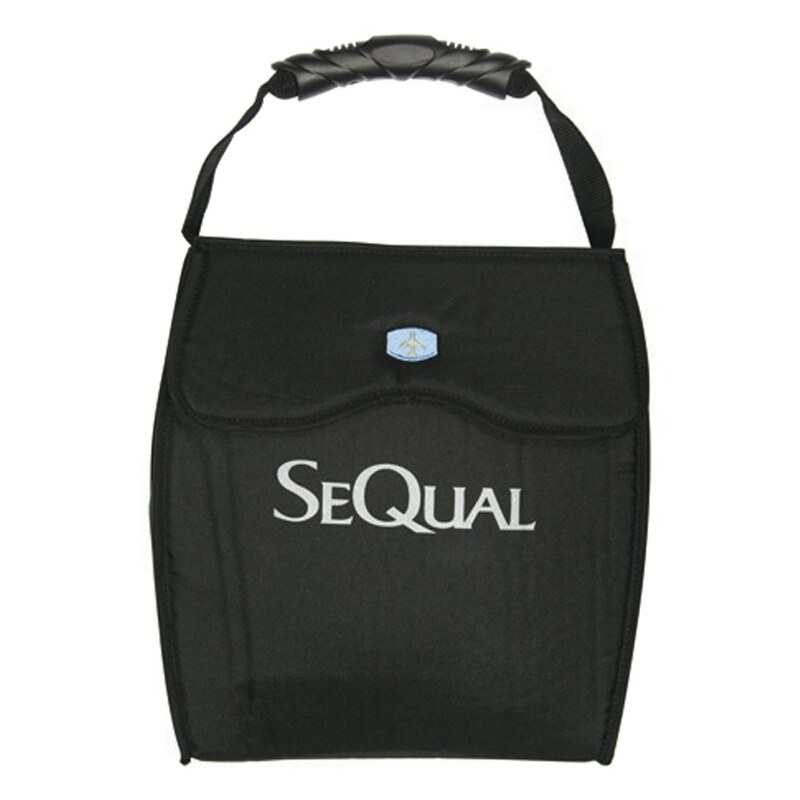 The padded lining protects your accessories from impact and the elements, and the overall design nicely compliments the already sleek look of the Sequal Eclipse Oxygen Concentrator. The Eclipse Accessory Bag is also great for holding your keys, wallet, medication, and cell phone; anything you can think of!.